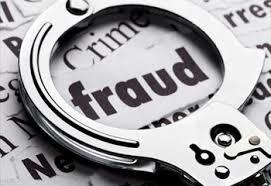 In the medical aid industry, there are whistle-blowers who alert medical aids to fraud and abuse of medical aid funds. One particular leading medical scheme reveals how they received no less than 1 500 calls from these whistle-blowers, alerting them to fraudulent claims. It’s not just medical aid admin staff who commit fraud, but doctors too. About 5 years ago a Durban doctor committed medical aid fraud. This particular doctor submitted an inflated claim to Discovery Health. Dr Roshen Koovarjee submitted a claim to the scheme for brand name drugs although he had dispensed generics. He received a fine and suffered suspension for 2 years. The medical aid industry is continuously dealing with fraudulent claims with doctors billing for tests they have never performed. Fraud is prevalent in the private- as well as government medical aid programmes and medical aids are having to invest in sophisticated technology to detect this fraud. Recently audiologist Wandile Theophilus Mashego of Pretoria defrauded Bonitas of a substantial sum. He has had to pay back the medical scheme the defrauded amount of R506 000. The doctor is guilty of a whopping 259 counts of fraud and also for contravening Section 66 of the Medical Schemes Act. It was Bonitas who responded to whistle blowers, and who opened a case. The audiologist, had submitted fraudulent claims for a long time – from 2014 to 2015 in fact. A runner provided this doctor with details of Bonitas Medical Fund members. Thee doctor simply billed Bonitas fraudulently for so-called services to these members. Mashego has pleaded guilty and received a sentence of 5 years’ imprisonment, wholly suspended for 5 years. He has had to pay Bonitas back the sum of R506k. If he didn’t pay this amount back, he would have to face imprisonment. He also faces correctional supervision for 36 months and house arrest for a period of 36 months. Kenneth Marion from Bonitas said that the medical scheme was extremely grateful to the whistle blowers and to the police for brining this this particular doctor to justice. Fraud among doctors isn’t going away. Will the punishment for Dr Wandile Theophilus Mashego be such that it puts other doctors off? Not likely. This type of thing has been going on for years and he shouldn’t be allowed to practice as a doctor – that would be the ultimate punishment. Look at the year 2013 when at least 30 doctors were penalised for overcharging their patients and also for charging for services to patients they never rendered. Another 15 were actually found to have brought the medical profession in disrepute. It is all very well for those in authority to express concern about the increase in the number of fraudulent claims by doctors, but what is being done to seriously put an end to fraud? Look, 5 years later we still have doctors like Mashego committing fraud because the punishment is simply not severe enough.